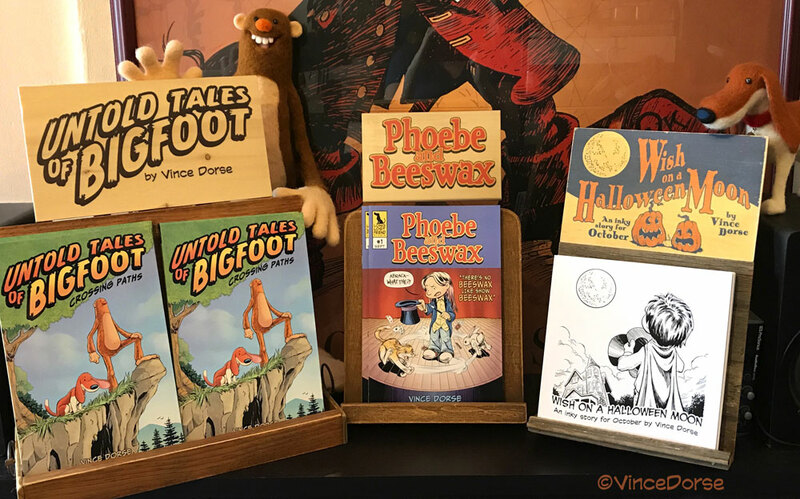 Untold Tales of Bigfoot has been nominated by the National Cartoonists Society for a Silver Reuben in the Online Comics: Long Form division. This is is Bigfoot and Scout’s third nomination (they won in 2013). 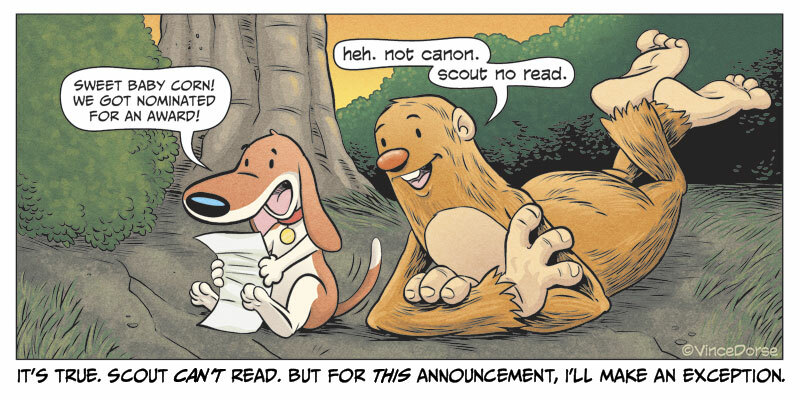 The Untold Tales of Bigfoot graphic novel, Crossing Paths (Long Lost Friend Studio’s first release), was the happy result of a well-received online comic (it garnered two Reuben nominations and a win). And while I’ve been busy this last year promoting the printed book at conventions, I’ve tried to keep the online comic going with shorter, self-contained story arcs that fit into the larger story — little mini-adventures and two-pagers that follow Bigfoot and Scout on their continuing quest. It’s these new, online comics that earned the Reuben nom this year, and it’s an honor to be recognized alongside some other very talented creators.